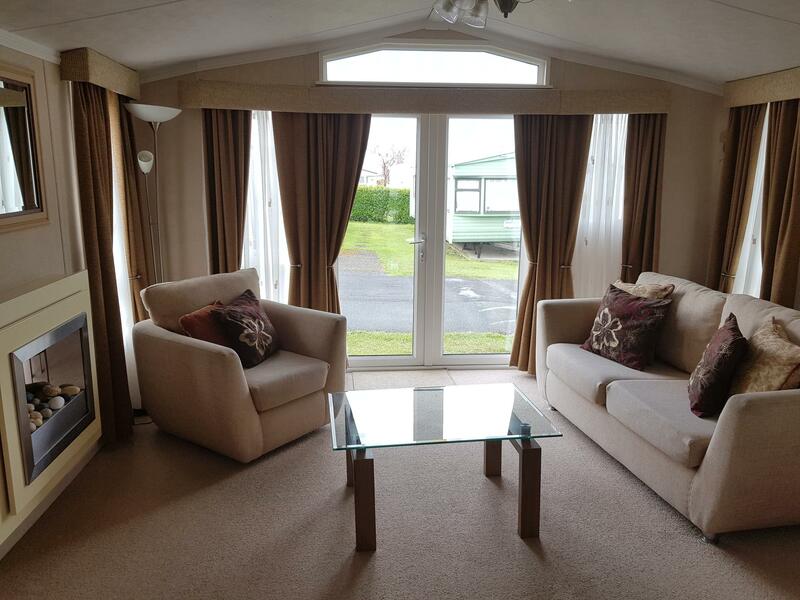 Lounge: Large spacious lounge with sofa; two armchairs; coffee table; electric fire. 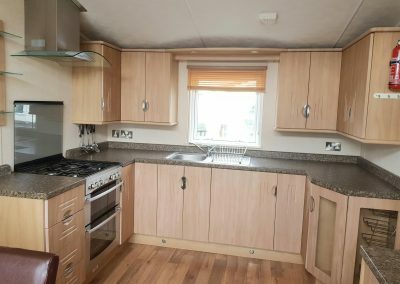 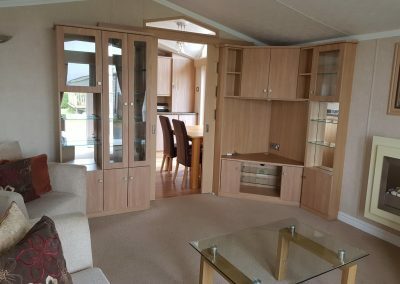 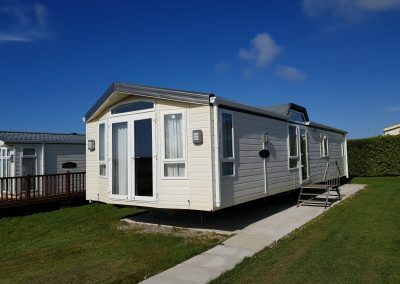 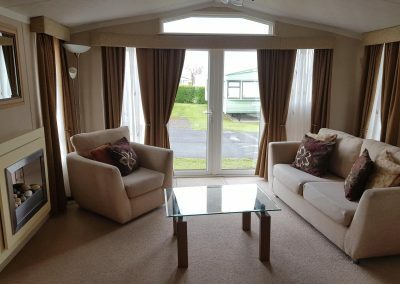 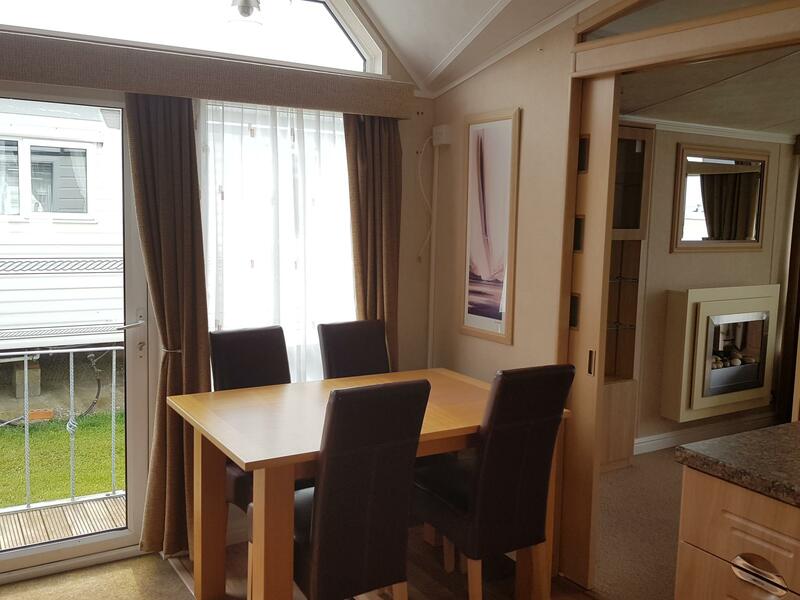 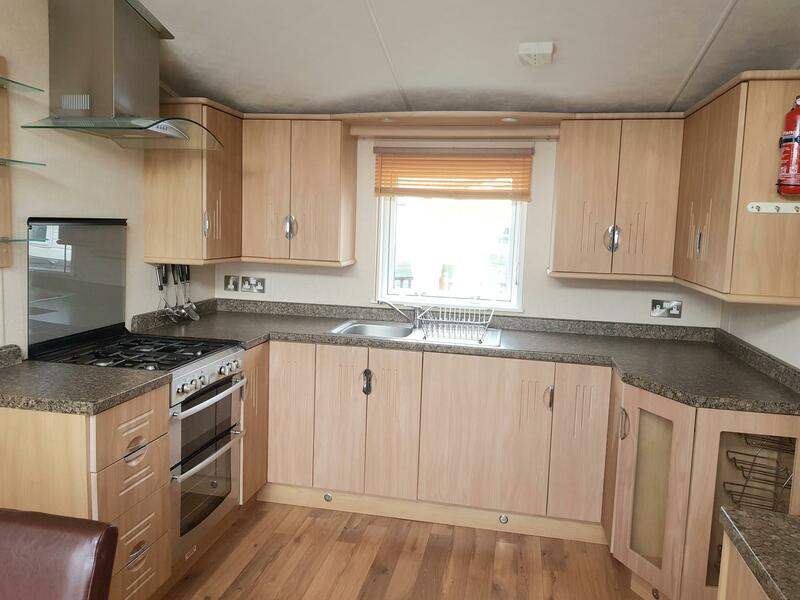 Kitchen: Integrated full size fridge; gas cooker and 4 burner gas hob; integrated fridge, freezer and washing machine; ample cupboard storage, dining table and four chairs. 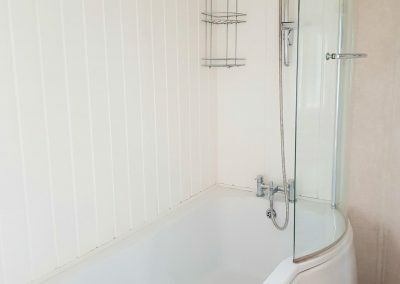 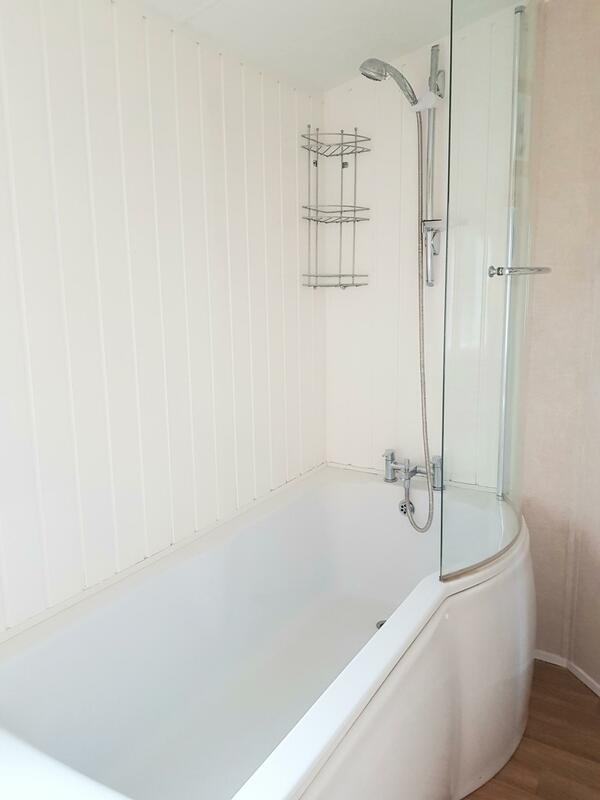 Family Bathroom: Shower over bath; vanity cabinet and WC. 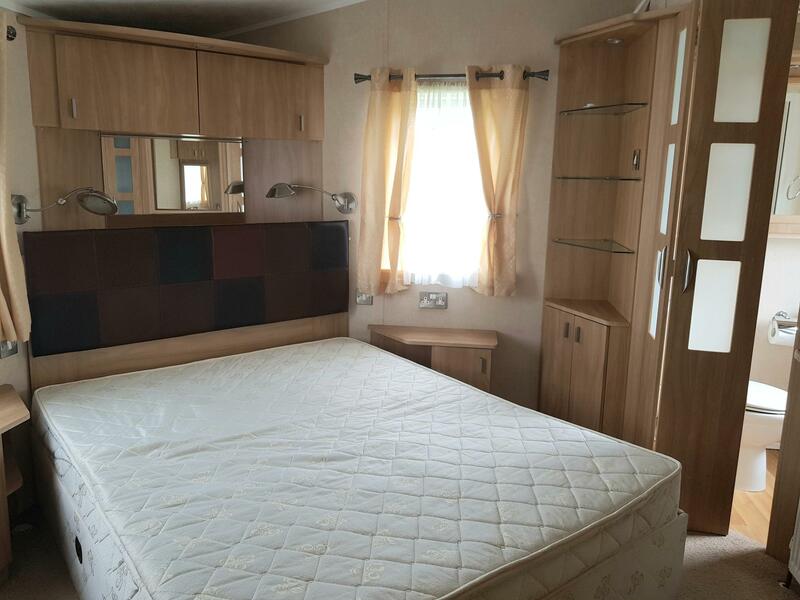 Master bedroom: Double bed with underbed storage; overhead and bedside cabinets; large wardrobes and en suite shower room. 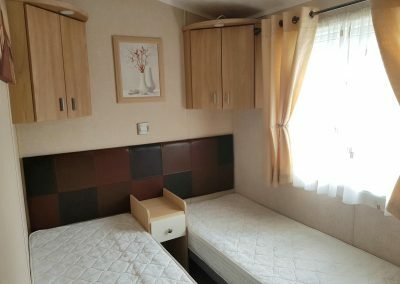 Twin bedroom has two twin beds, overhead storage and wardrobe.